Changing the router administration password is highly recommended to keep your network settings secure and protected from unauthorized access. 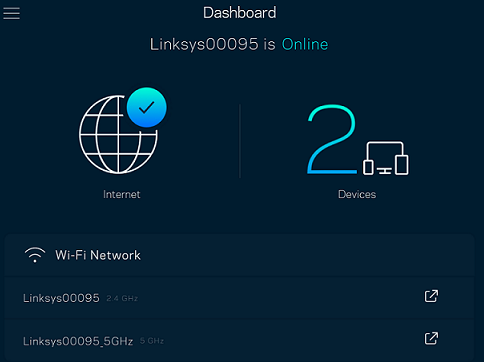 Using the Linksys app, you can set your own router password so that only you will have admin rights to your network. To learn how to do this, follow the steps below. NOTE: Before you proceed, make sure to have the latest version of the Linksys app installed in your device. Click here to download it from Google Play™. To download it from the App Store®, click here. On your mobile device, tap the Linksys app icon. You will be prompted to provide your Linksys cloud account. Enter the necessary credentials and tap Log in. Or, for local access, you can tap the Log in with Router Password link instead. Tap the Menu icon on the Dashboard. Select Change Router Password and Hint and tap the field under Router Password to enter your new personalized password. QUICK TIP: The password can be 1 to 64 characters composed of numbers and letters. You can also add a hint to help you remember your password. Make sure to tap Save across the top right-hand side of the screen.